To deliver powerful development tool for web and mobile applications, Microsoft has released the latest version of its Silverlight 5 beta with over 40 new features which includes dramatic video quality, performance improvements and new capabilities for improving the developer productivity. In a bid to encourage the developers to start developing the projects by using the Silverlight 5 beta tools or its final version, Microsoft is publishing MSDN developer documentations for Silverlight 5 and also releasing Silverlight 5 documentations in offline format as document in .CHM format. The Silverlight 5 documentations is aimed to fresh and experience developers with comprehensive contents from getting started until deployment. Describes the class library that consists of classes, interfaces and value types that are included with the .NET Framework for Silverlight. 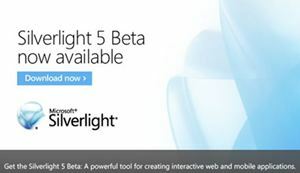 Introduction of Silverlight 5 Beta. Step-by-step information for getting started developing Silverlight-based applications. Describes application and programming models for application development. Describes Silverlight programming concepts and explain how to build Silverlight-based applications with text and input. Describes the library of controls that support user interface (UI) development. Describes how to build Silverlight-based applications with graphics, animation and media. Describes Extensible Application Markup Language (XAML) concepts and how to use XAML in your Silverlight-based applications. Describes the ways to embed the Silverlight plug-in in Web page. Provide an overview of the common language runtime and a wide range of core topics for Silverlight developers. Access data using a variety of technologies. Provides guidance for determining which networking and Web service technologies that should use to get data into Silverlight application. Describes tools and technologies that keep Silverlight-based applications running accurately and effectively. Describes the subject involves in Silverlight deployment. Describes practices that improve the performance of Silverlight-based applications, including the use of multiple threads to run background tasks and to make applications more responsive to users. Describes how Silverlight is made secure through its restricted run environment and provides security guidance for building Silverlight applications in different scenarios. Provides links to information about Silverlight application development on mobile operating systems. Contains reference information related to Silverlight. Currently, the documentations have the heading of beta as Silverlight 5 is not finalized yet, and the documentations may be changed as development going on. Nevertheless, the documentations’ title will be changed accordingly when needed. MSDN developer documentations for Silverlight 5 is accessible or its Silverlight 5 Offline Documents is available as a free download from in executable file (Silverlight_5_Beta_Documentation.EXE). After completed download, the user need to execute it to extract Silverlight_5_1033.chm into user preferable location.